For both the men’s and women’s senior national team programs, 2019 marks the beginning of the Olympic Games qualifying season. On the men’s side, they just finished a World Cup campaign and are getting back into the swing of things in the domestic training environment. On the women’s side, the national team athletes competed and trained in Belgium in the fall as a part of their preparation for Olympic qualifiers. The Women’s National Program kicks off 2019 in Panzhihua, China with a three-week training tour featuring six capped test matches. Along with the senior national team, a roster of junior women will also be attending. They will train alongside the senior athletes and challenge the Chinese U23 national team to a set of test matches. According to Kate Wright, captain of the Women’s National Team, bringing the junior athletes along will provide a high-level training experience that will help push them to the next level and prepare them for the jump to the senior level. Last summer, the Women’s National Team won the Hockey Series Open in Mexico, which set them on the course towards their ultimate goal of Tokyo 2020 qualification. As we flip the calendar into 2019, so much is yet to be decided. In order to qualify for the Olympics, the team will have to place top two at the FIH Hockey Series Final, scheduled for June in Valencia, Spain. Then they will be assigned a two-game series against another country. The winner of the two-game series will qualify for the 2020 Olympic Games. They also have an opportunity to qualify if they win the 2019 Pan American Games in Lima, Peru in July. It’s an uphill battle for the 21st ranked team in the country but the athletes and coaching staff have felt the program trending up in the last year. After a record-setting finish at the Commonwealth Games last year, the team has followed up with a tournament win at Hockey Series Open and a very successful summer series in Europe. Their most recent series win in Spain against the 7th ranked Spanish side proves that they are on the right trajectory. The January tour to China provides a valuable training and competition environment for the national team as they prepare for the upcoming spring/summer of qualifying events. Amanda Woodcroft, Canadian midfielder, said that the China tour is about putting all the skills from the fall together and testing them against an unfamiliar opponent. After the tour, the players will return to Belgium to compete and train with their clubs. They will continue to meet at Victory HC for national team training during each week as well. Woodcroft is in her second year in the Belgian Hockey League playing with HC Leuven and recommends the European hockey experience to any aspiring player. A roster of junior development athletes is also making the trip to China for the training tour. In addition to getting valuable repetitions with the senior athletes and access to specialist trainers, they will also challenge a Chinese U23 national team in a series of matches. The final schedule of matches is still to be confirmed. The full Scotland women’s squad for 2019 has been announced by new Head Coach Jen Wilson, and includes three new players being introduced into the senior women’s programme following the recent Beatson Cancer Charity Super Series. Scotland U16 Girls’ Player of the Year Jess Buchanan has been added to the programme along with Louise Campbell of Edinburgh University, and McKenzie Bell of Western Wildcats. All three of the new players caught the eye of the Scotland senior women coaching staff throughout the recent Beatson Cancer Charity Super Series event at the Glasgow National Hockey Centre. The inaugural best-v-best tournament was designed to offer a platform for the Scotland coaching staff to see the best 54 players in the country compete against each other, and an opportunity for new players to stake a claim for international recognition. Jen Wilson said, “We announced the new squad at the start of the year and now have an upcoming training camp that will be the platform we create to springboard into competitions this year. We have the Hockey Series Finals to look forward to in June and then the very exciting prospect of EuroHockey Championship II in Glasgow in August. It’s a huge year ahead for the Scotland women’s national team with two major international tournaments on the horizon. On 8-16 June Scotland women will compete at the Hockey Series Finals in Dublin alongside Ireland; South Korea; Czech Republic; France; Malaysia; and Ukraine. Then there’s a huge home games when Scottish Hockey hosts Women’s EuroHockey Championship II at the Glasgow National Hockey Centre on 4-10 August. Here Scotland will play on home turf in the tournament featuring Wales; Czech Republic; Ukraine; Austria; Italy; Poland and Turkey. KUALA LUMPUR: Universiti Kuala Lumpur (UniKL) cracked the Tenaga Nasional vault in the last quarter to win 3-1 in their Premier Division match of the Malaysia Hockey League (MHL) earlier today (Friday). Tenaga Nasional got an early lead and controlled the match after Syarman Mat Tee scored in the eighth minute. But after the half-time break, UniKL came back strongly and scored off Razie Rahim (42nd), Martijn Peter Havenga (53rd) and Hafiz Zainol (57th). In another match, Terengganu Hockey Team (THT) hammered NurInsafi 6-1 to go top of the table above UniKL on goal difference. THT coach, I. Vikneswaran said that they are focused on their plans, and are not hoping for any of the other teams to make mistakes in other matches. "UniKL as well as THT have dropped two points (the 2-2 draw in the Charity Shield), while Tenaga have dropped three points so far. So, I believe it's still a close race to the top, and we can't take things for granted, but to keep our momentum going for the remaining matches," said Vikneswaran. UniKL coach Arul Selvaraj on the other hand was disappointed with their start, but nevertheless still proud of his players’ for their composure to finish their first home game at the Tengku Abdullah Stadium in Bangi. "I am disappointed with how we started the game, but in the end, my players were intelligent enough to keep their cool and composed to make a spirited comeback and win the match. "It is a really nice feeling to win our first match at our home stadium. I believe UniKL are the first club to have their own stadium and hence this win is dedicated to all those who worked hard to make it a reality," said Arul. RESULTS: Men -- TNB Thunderbolts 1 Maybank 3, UniKL 3 Tenaga 1, Terengganu HT 6 NurInsafi 1. SATURDAY: Women -- Blue Warriors v PSHA - MSSPP (Tun Razak, 5pm), Tengku Mahkota Ismail v KL Wipers (SSTMI, 5pm), Terengganu Ladies v Liaoning HC (Batu Buruk, 5pm). KUALA LUMPUR: South Korean forward Jang Man-jae scored a hattrick in Terengganu’s 6-1 win over Nur Insafi in the Malaysia Hockey League (MHL). He was on target in the 14th, 23rd and 31st minutes at the Batu Buruk Hockey Stadium in Kuala Terengganu yesterday. Another South Korean Jang Jong-hyun (pic), who was the top scorer in the MHL in 2017, scored a brace in the seventh and 15th minute. Faizal Saari completed the rout for the East Coast team by scoring in 48th minute. Nur Insafi solitary goal was netted by Joel van Huizen in the ninth minute. Terengganu and Universiti Kuala Lumpur (UniKL) both are tied with seven points from two wins and a draw. But the East Coast team top the standings with a better goal difference. Terengganu coach I. Vickneswaran said he was happy with the team’s progress in the MHL. “Although Man-jae scored his first hattrick, it was a team effort,” said Vickneswaran. “We had poor penalty corner conversion rate in the Tan Sri P. Alagendra Cup but we’ve improved as we have been scoring in every match. Defending overall champions UniKL came back from a goal down to beat Tan Sri P. Alagendra champions Tenaga Nasional 3-1 at the Tunku Abdullah Hockey Stadium in Bangi. Syarman Mat Tee gave Tenaga Nasional the lead in the eight minute but UniKL fought back in the last two quarters to score. Muhd Razie Abdul Rahim levelled the score in the 42nd minute before Holland’s Martijn Havenga made it 2-1 in the 53rd minute. Four minutes later, Muhd Hafiz Zainol netted a goal to give UniKL the full points. Said UniKL coach A. Arulselvaraj: “It was a great comeback from my players who are very experienced in this kind of situation. KUALA LUMPUR: Terengganu face ultimate test against Liaoning Club of China to remain top in the standings of the National Women’s Hockey League. It will a mouth-watering top of the table clash as both teams have maximum points from three wins. But the East Coast team powered by five foreign players have topped the standings with a better goal difference. The Chinese Club have a solid defence as they have yet to concede a goal in three matches. Terengganu forward Fatin Shafika Mohd Sukri said they were in high spirits after upsetting defending overall champions Police Blue Warriors 3-2 at home on Thursday. “We are all fired up to get the better of the Chinese club. They are fast on counter attacks. We’ll be cautious,” said the national player. “Our mission is to end their unbeaten run and also be the first team to score against them. “I’m ready for the challenge as I’ve scored five goals in three matches and want to continue my scoring rate in the league. “The five foreign players in our team have combined well and have helped the team get the desired results. The indoor National League 1 championships are moving inexorably towards the Gala Finals on 2 February; on Sunday the finalists in the women`s competition will emerge, while the men`s are a stage behind with the opening group stage matches. On paper, Dundee Wanderers and Clydesdale Western are strong favourites to contest the ultimate stage in the women’s competition in two weeks’ time, but winner-take-all cup ties can sometimes surprise the pundits. But current form would suggest that Wanderers will hope to overcome the challenge from their city neighbours Grove Menzieshill who have not quite made the same impact that they have in previous indoor seasons. Earlier in the competition it was Wanderers who emerged 9-3 winners. That day the goals flowed from the sticks of Vikki Bunce, Ruth Blaikie, Jess Ross, Millie Skidmore and Ellie Wilson – so what is to stop lightening striking again this Sunday? Certainly Grove Menzieshill have the skill of Sam Sangster at penalty corners and the open play opportunism of Jaime Lyon, which they will hope will be enough firepower to upset the Wanderers` defence. 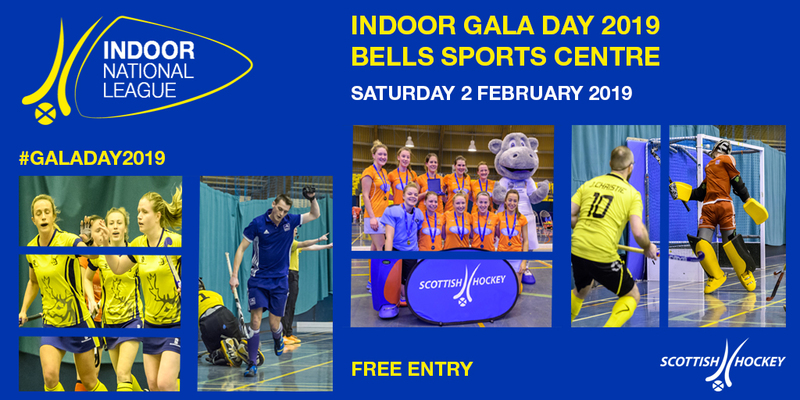 It’s sure to be a fantastic contest with the Tayside indoor heavyweights going toe-to-toe. The other semi-final brings together Western and Watsonians who have come to the fore in the indoor competition this season. Youngster Georgia Jones has emerged as Watsonians leading striker while Emily Newlands, Heather Tait and Nikki Stobie have also made their contributions, as they plan to upset the champions’ drive to the final. The league clash between the sides ended in a 4-1 win for Western, Heather Howie (2), Millie Steiger and Jen Eadie were on target that day. At the other end of the competition Hillhead, who finished the league in fourth place, Edinburgh CALA, Grange and Edinburgh University will fight it out to avoid the dread of relegation. Earlier in the day all the teams will compete the final group stage matches, but the top two teams in each pool are already determined. In men`s National League 1 Grove Menzieshill are re-emerging as the dominant force in the land, and that after losing their opening game to Western Wildcats. The Taysiders have a perfect record in their subsequent six games, they finished the league in pole position and top their pool on the road for a semi-final spot. The Dundonians entertain second-placed Grange in their opening game on Saturday, a repeat of their 10-2 victory in the league would undoubtedly suit coach Bruce Cuthill. That day the chief tormentors were Cameron Golden with four, Gavin Tomlinson, Paul Martin and Ross McPherson. Grove Menzieshill have certainly picked up the goal scoring bug, 26 goals in last weekend`s final three league encounters is evidence of that. Grange have done well to finish the league competition in fourth place and could still qualify for a semi-final spot if they can overcome Clydesdale in their second game of the day. The other pool is a close affair – Western Wildcats and Inverleith share top spot with six points, the former slightly ahead on goal difference, while Dundee Wanderers and Dunfermline Carnegie are behind on three points – so it is all to play for in the group competition. The opener is a cracker with Wildcats and Inverleith in a head-to-head – the winner is likely to confirm their semi-final status and perhaps also avoid an in-form Grove Menzieshill. The Wildcats showed their teeth in the league encounter last weekend with a 6-3 victory, Andrew McConnell was the sharpest with a hat-trick while Fabien Goldie, Rob Harwood and Joe McConnell were also on target. However, alarming for Inverleith coach Stuart Neave is the way his charges capitulated to both Wildcats and Menzieshill last weekend, losing 13 goals in the process. Whatever the outcome of the first match, both Wildcats and Inverleith could subsequently pick up valuable points later in the day against Dunfermline and Dundee Wanderers respectively. 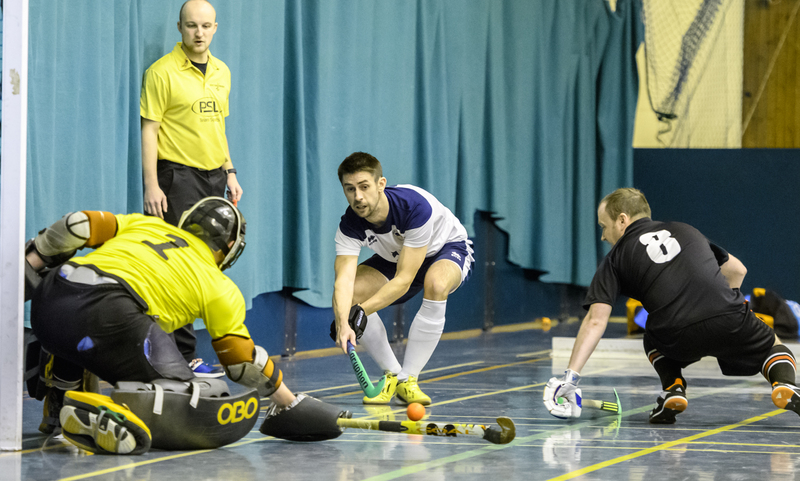 Wanderers in particular could be a banana skin encounter for the champions, although they have perhaps not lived up to their potential this indoor season, they only went down 5-4 to Inverleith in their earlier clash. So the champions’ road to a semi-final spot may still be a rocky one and will require discipline and focus if success is to be forthcoming. 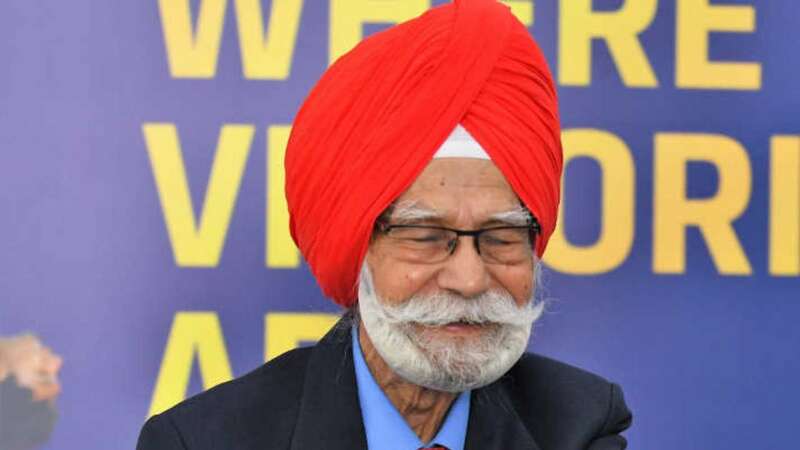 Hockey legend Balbir Singh Senior was on Friday discharged from PGI after spending 108 days in the hospital, where he took treatment for Bronchial Pneumonia. A press release from PGI said it will take Singh four to six months to recover. "It is an unparalleled achievement and credit to his grit that he could recover at the age of 95 from the scenario of Bronchial Pneumonia and near cardiac failure that he was initially admitted with," Prof. Jagat Ram, Director PGIMER said. "We wish him a speedy recovery & good health in the future for a long time to come and look forward to inviting him as our guest in PGIMER in the not so distant future." Singh, who won three Olympic gold medals with the Indian hockey team, was admitted to PGI on October 2 after he complained of breathing difficulty. Immediately after being admitted, the legendary centre-forward, was treated at the Respiratory Intensive Care Unit (RICU) of the renowned hospital. Kabir, the grandson of Singh, thanked the PGI team for their efforts. "We are extremely grateful to the doctors, nurses and staff of PGIMER, especially to Respiratory Intensive Care Unit & the medical team of the Pulmonary Dept headed by Prof. D. Behera. for going above & beyond the call of duty in saving the life of an international icon." That's why we recommend you share this reverse stick lift plan with your players, to give them some structured 3D skills to practice.